This has to be the most beautiful sunrise video ever seen. It’s captured with a high-definition (HD) camera, installed inside a drone. Our lives have become delusional. We have forgotten the Nature’s priceless bounties and there are many simple things which give us unadulterated joy. One among them is watching the sunrise. It’s the symbol of rising, and the philosophical representation of hope. It is even scientifically proved that the brain is in its freshest mode while viewing a beautiful sunrise. We bet this has to be the most beautiful sunrise video ever seen. It’s captured with a high-definition (HD) camera, installed inside a drone. 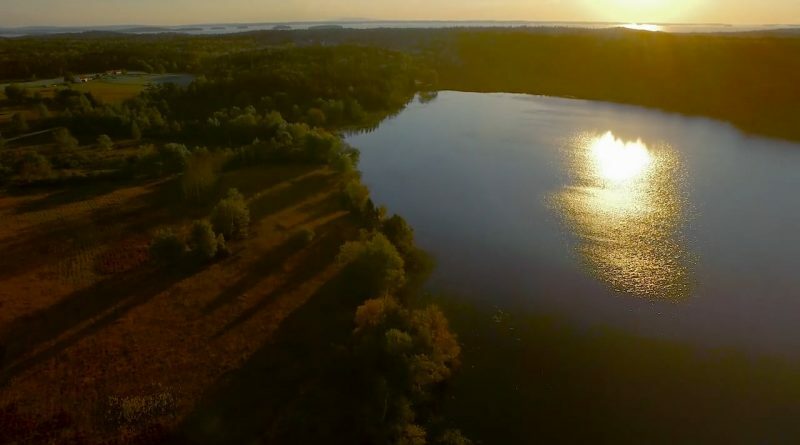 This drone footage of sunrise is sure to blow your senses away! Sit back and relax while you watch this one – Robert Pierce captured some incredible drone footage over one of the most beautiful spots in the Northeast as the sun rises. The fall foliage will inspire you to do go some leaf peeping of your own. The video starts with the camera hovering over the water body, with the beautiful orange horizon in the background. It’s the dawn time, and the early golden rays of sun light up the crystal clear waters. 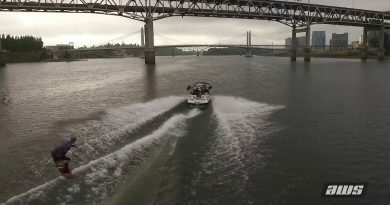 One could even see the reflection of the golden ball on the sky in water while the drone moves at a very high speed above the water. The scenes are nothing less than spellbinding! Truly, the watching an amazing sunrise video like this one will freshen up your mood. The drone footage moves over the green trees while the sky is still waiting for the first glimpse of rising sun. However, the scattered orange light on the horizon is worth the wait. And then suddenly — Wow! That fireball that has lit the skies. It’s the sun — the ultimate source of light. The amber-colored sky turned is changing its patterns as the sun gains strength. Away from the concrete jungle & the glass high-rises, this is pure nature in its full glory. A soul-stimulating video of an amazing sunrise that makes you forget everything in this world. Can a sunrise get more beautiful than this one? Just sit back and enjoy the spectacular view of the daybreak. ← You Won’t Believe How Close This Drone Photographer is Getting to the Manhattan Skyscrapers!